There's something monumental in a pile of salt. The DSNY shares this Second Avenue site with the Gowanus Canal Conservancy. The area was once rich in salt marshes, tidal creeks & freshwater streams, & the Conservancy maintains a sliver of native salt marsh. Salt & salt go well together. 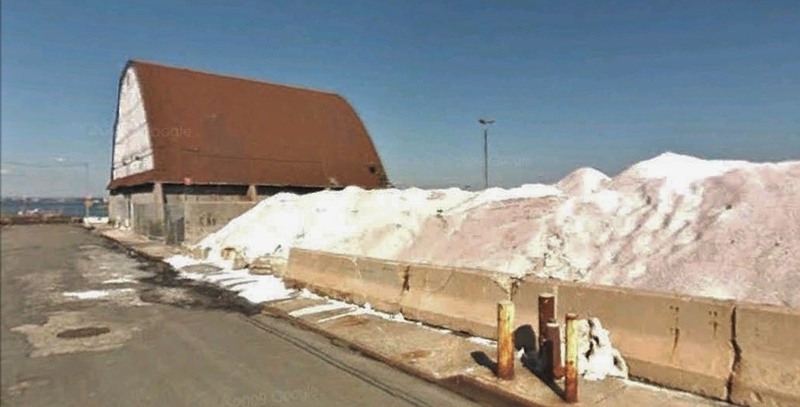 There's another DSNY salt reserve down at the bottom of 52nd Street - more old Gowanus coastline. Even a Google image captures a bleached beauty. I'm tempted to check out the locations of the all the Sanitation salt reserves. I think it's a plan! The most recent shed, at West & Spring in Lower Manhattan, was completed in 2015. It's stunning.